If you're searching for the best Simba mattress deals and discount codes this Easter, you're in the right place. We’ve found today's lowest Simba mattress prices – and curated them here on this page. In general, Simba mattresses don’t come cheap. It’s the best mattress around, and its patented pocket springs and supportive memory foam have won scores of awards and happy customers. But there are Simba mattress deals and discount codes to be found that lower the price – and there are often Simba bundle deals across the company’s excellent pillow and duvet lines that offer great value too. What is a Simba mattress? What's so good about them? The Simba Hybrid mattress is a luxury five-layer mattress that combines springs and memory foam to award-winning effect. Designed to support all body types and sleeping positions, a layer of patented conical pocket springs pivot in their pockets to adapt to your body shape while you sleep, giving you full body support. Meanwhile, SIMBA’s Disco memory foam moulds to you as the warmth from your body softens it; a “Simbatex” cooling layer regulates your temperature; and a hypoallergenic ‘breathe in, breathe out’ cover keeps allergies at bay. All this sits on top of a foam foundation that provides seven zones of support. It’s a bed-in-a-box mattresses, which means you buy it online and it’s delivered to your door in a conveniently sized box. Simba describes it as the most advanced mattress in the world, and the team are so confident you’ll love it, they offer a 100-day no-quibble trial: if you don’t love the mattress, just return it within that period for a refund. We feel – and the plethora of online reviews agree – that Simba is the best mattress you can get without paying silly money. Generally, the best way to add value to your mattress purchase is with a Simba bundle deal. These tend to change periodically throughout the year, with various Simba mattress Black Friday deals in November, and offers over other key sales periods too, including Christmas, January, Amazon Prime Day in July and spring. 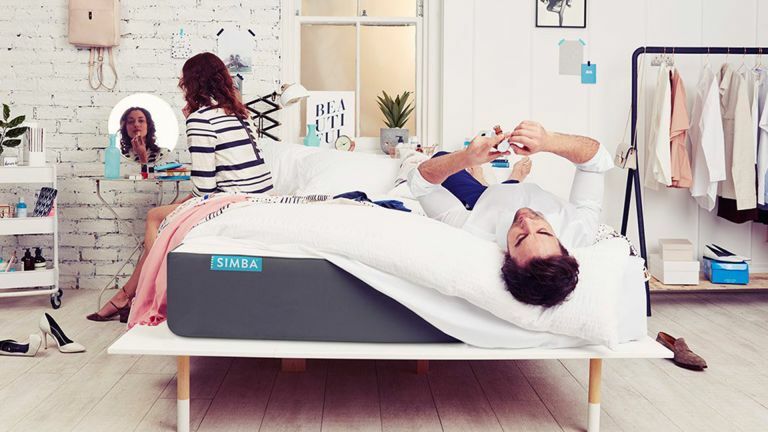 The best Simba mattress deal we've seen so far was a Simba bundle direct from the company, in which you received a free Hybrid duvet worth up to £345 (for a super king size) with every Hybrid mattress purchase, excluding bunk bed and cot mattresses. This wasn't just a Black Friday Simba mattress deal – we saw the offer again in late February and early March 2019, and would expect to see it again later in the year. When we do, you'll find it here on this page. As you'll have gathered, Simba makes splendid duvets, pillows, sheets and mattress protectors, too. The duvets use a blend of duck down and feathers, with a coating of Outlast. This 'phase change' material actively responds to the surrounding temperature, absorbing heat when you're too warm and releasing heat when it's frosty. It's officially Space Certified Technology. Sizes range from single to super king. The plump and tempting Simba pillow is also topped with cooling/warming miracle fabric Outlast. You can even add more of Simba's nano-tube filling if you want a plumper pillow, or remove it if you want it narrower. Simba makes soft, crisp, aloe vera-infused (!) fitted sheets and waterproof, breathable mattress protectors, as well as their child-size bedding.